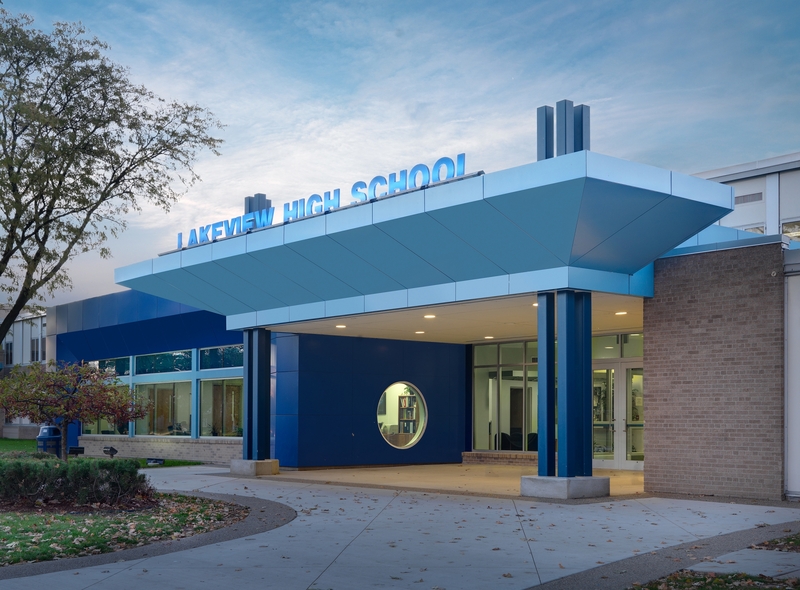 The citizens of the Lakeview Public Schools Community approved a $15.1M bond proposition in November of 2007. 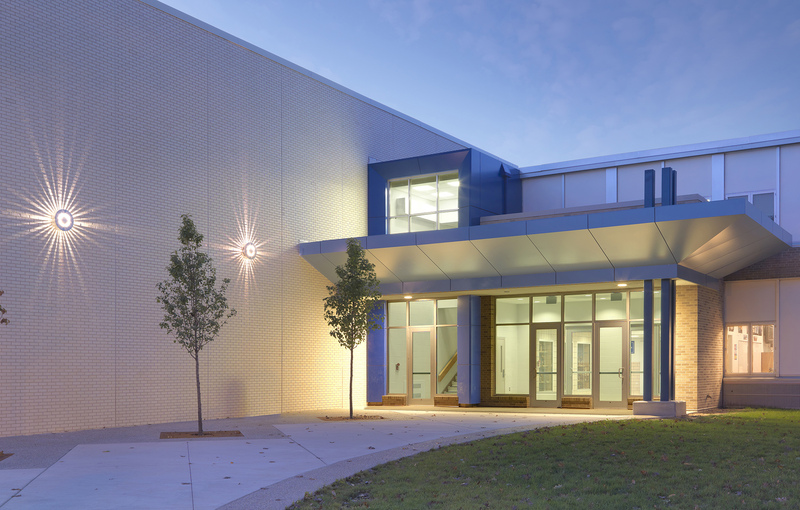 Part of this proposition was to construct a new auxiliary gymnasium and cafeteria at the Lakeview High School. The design incorporates an abundance of natural daylighting into both spaces and transforms the aging and tired exterior elevation. This project involved demolishing a portion of the existing building to accommodate this new addition. 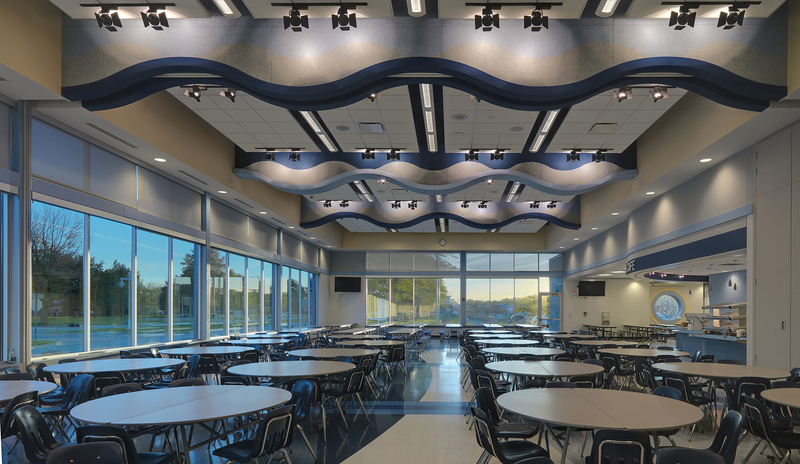 The existing cafeteria was removed and replaced with a new flexible space that provided a centralized area for student lunches, improved serving facilities, accommodations for large group instruction, as well as the ability to accommodate cheerleading practices due to the high ceiling height. 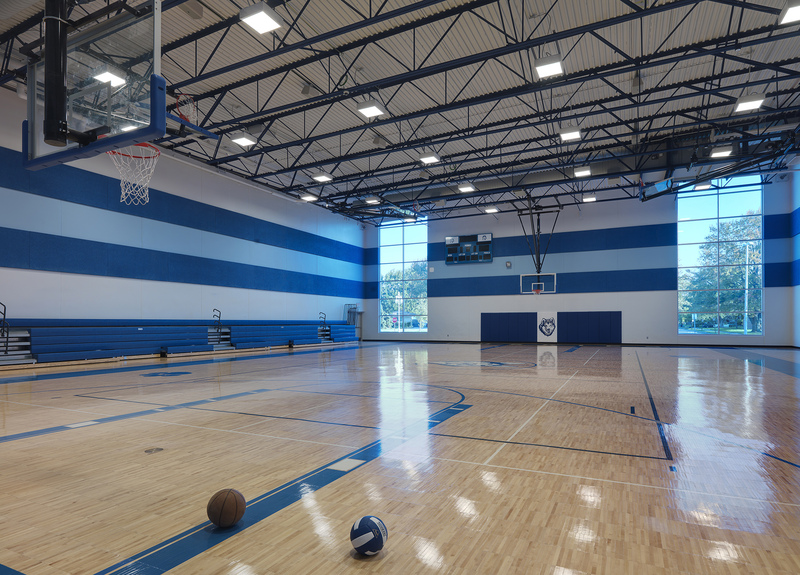 The auxiliary gymnasium provided much-needed athletic practice space, game space and bleacher seating for 200 observers. The new gym is located directly across from the existing main gym and provides an ideal environment for simultaneous activities. A new concessions area, girls’ locker room and storage areas were also added as part of this plan. 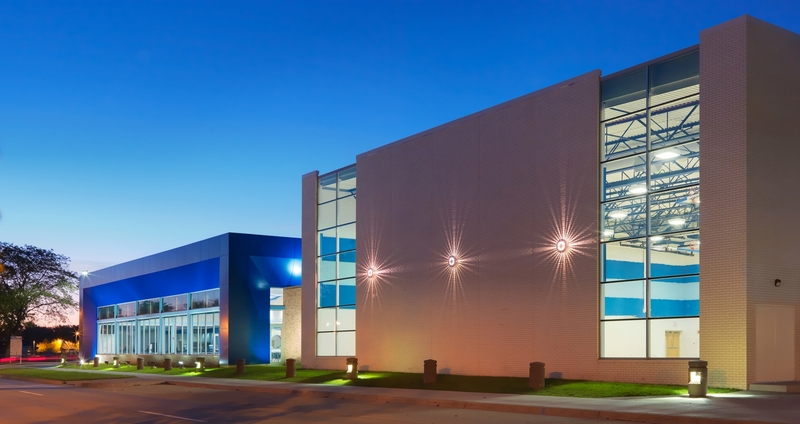 The balance of the project involved various renovations throughout the existing building which focused on safety and security. A new secure entry vestibule, main entrance canopy, as well as reconfigured and expanded administrative office area were also completed. 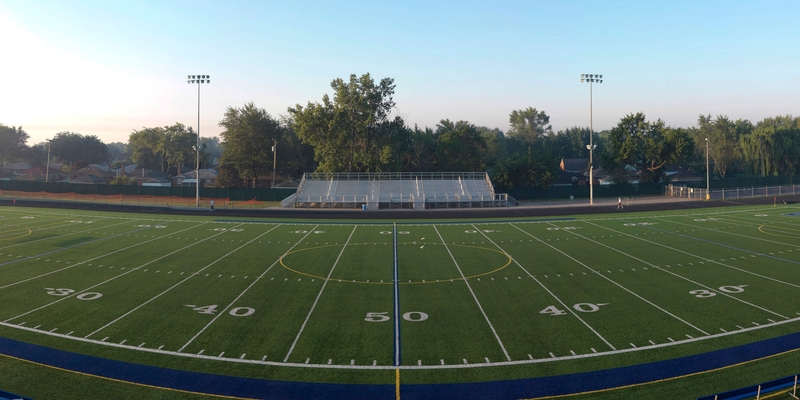 The existing natural turf athletic field was replaced with a new synthetic turf playfield. The existing running track was also rebuilt and a latex rubberized running surface was installed. New sub-drainage, underground electrical and communications were also included as part of this project.